Cruise along one of the most untouched, uninhabited territories in all of Alaska only accessible by boat. Your tour begins at the Klutina River and heads down the Copper River world-famous for its annual salmon run. 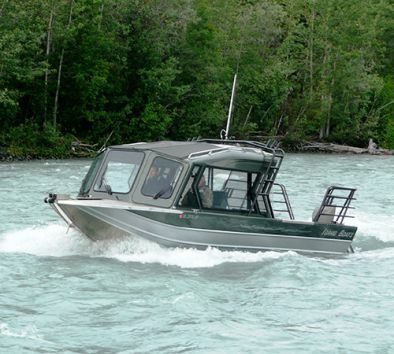 You’ll travel 8 miles down stream while looking at eagles and the occasional Moose and Bear. Next make a quick stop on the only exclusively leased land in the area for a completely private experience to see items used over a hundred years ago by early settlers and prospectors. During the gold rush of 1898, gold miners came down the Klutina River in boats they made by hand from spruce logs. Your first-class jet boat provides plenty of safety and comfort from its completely enclosed cab and heater (for cold days). Time on jet boat is approximately 2 hours.